A Debt Management Plan is an informal solution but that doesn't mean that it shouldn't be carefully considered before entering into it. 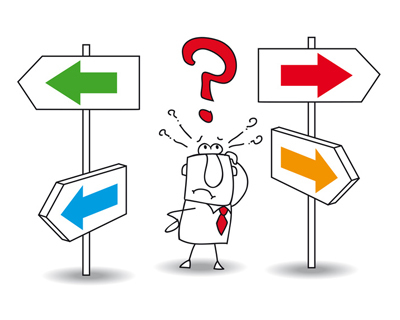 We have compiled a list of the most commonly asked Debt Management Questions below. Have a read through them if you are considering debt management as a way of dealing with your problem debts. If you have any further questions about your debts then call us on freephone 0800 043 3328 or simply fill in the form on this page and one of our debt advisors will contact you to discuss your query further. A debt management plan is a simple and informal process designed to reduce and clear all outstanding debts without obtaining further credit. A debt management company will deal directly with your creditors and negotiate on your behalf, freezing interest and charges whenever possible. 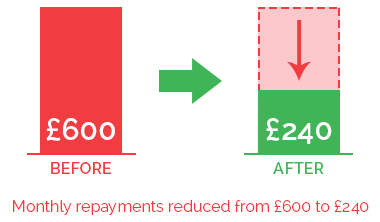 Your monthly debt repayments are reduced down to one affordable monthly repayment. What are the advantages of Debt Management? It is an Informal and flexible arrangement to suit you. Payments are tailor made to suit your individual needs. You do not have to release equity from property. You will repay all of your debts. The agreement can be preferred by creditors. Your details will not be put on an Insolvency Register. What debts are covered by a Debt Management Plan? A Debt Management Plan deals with unsecured debts such as: loans, credit cards, store cards and bank overdrafts. Secured debts such as your mortgage or HP agreements are prioritised in your income and expenditure, so you do not fall behind on payments with those. How much will I have to pay if I enter into a Debt Management Plan? How much you pay into a Debt Management Plan is dependent on several factors such as income, expenditure and personal circumstances. The good thing about your payment is you will only pay what you can realistically afford. Do I have to be employed? No, but you do need a source of income that is more than you require for living expenses. Will the creditors accept my offer? It is up to your debt management company to successfully negotiate with your creditors on getting your offer accepted. Most reputable companies should be successful at liaising with your creditors. A creditor does not have to accept a reduced payment or to freeze interest and charges and this may result in your repayment term being extended. There is also no guarantee that any existing or threatened proceedings will be suspended or withdrawn. Any further collection actions may incur costs that will normally be added to the debt. No, your employer does not need to find out about your debt management plan. It should be private and confidential. It depends on the debt management company that you do your debt management plan with and whether or not they charge fees for their service. Make sure and investigate this because fees for some debt management companies vary greatly. Could a Debt Management Plan affect my credit rating? Yes a Debt Management Plan might affect your credit rating. Because you will be negotiating a reduction in your monthly payments, and you are no longer repaying the agreed amount to your creditors, a note of this may be made on your credit report. If you currently have arrears or a history of missed payments or late payments your credit rating will already be affected. Records are retained by the credit reference agency for 6 years. How long will the plan last? The length of the plan depends on your own personal circumstances, your repayment amount and your debt level. It is an informal agreement so you will be able to opt out at any time, but you will still be liable to pay the remaining debts, should you opt out. A Debt management plan is flexible and informal so you can amend it at any time. If you need help with paying your debts, simply get in touch with us on 0800 043 3328 or contact us by filling in a form and we will get in touch with you. I would like my information only to be used to advise me and not to be passed to any third parties.
" McCambridge Duffy have been great, completely open, honest and non-judgemental from the first phone call. Kept me fully informed through every stage, always did exactly what they said they would and always got back to me promptly. Fully recommended." Work out what your new monthly IVA repayment could be by filling in our debt and budget calculator form. In the IVA example pictured above, our client was struggling with payments of £600 per month to their creditors. We were able to reduce the payment to £240 per month. After 60 months of paying this reduced amount, their IVA will be complete. Any remaining debts will be written off and they will be able to start over debt free. Click on the button to type a message to one of our live chat advisors. We are available now to answer any of your questions. © 2018 McCambridge Duffy Insolvency Practitioners. McCambridge Duffy LLP is a Limited Liability Partnership registered in England and Wales. McCambridge Duffy is one of the leading insolvency firms in the UK. We offer IVAs and other Insolvency solutions. On our website you will see information on formal and informal debt solutions. Although we do not offer informal solutions, we provide this information so you have a clear overview of the options available for dealing with your debts. If an Insolvency solution is not suitable or you would prefer to take an informal route, we will recommend an appropriate provider, with your permission. A fee is only payable where further services are requested. Fees will depend on which debt solution you opt for and what your financial circumstances are. All fees will be explained in detail and discussed prior to commencement of any debt repayment plan. Repaying debt over a longer period may increase the total amount to be repaid.